The Global Environmental Policy Programme (GEPP) at the University of Geneva, Switzerland, which IEF President Arthur Dahl has helped to design, organizes policy briefings as well as a summer training programme. GEPP has now issued a two-page brief on "Beyond the Limits: Implementing a Resilient Future" summarizing its 28 November 2013 event with Ian Johnson, Secretary-General of the Club of Rome, and Per Olssen of the Stockholm Resilience Centre. This can be downloaded here. The Club of Rome and the Alliance of Religions and Conservation have launched a project on "ValuesQuest: the search for values which will make a world of difference" (see http://www.clubofrome.org/?p=5821). After addressing the root causes of world problems for over 40 years at a broad systemic, holistic and long-term level, the Club of Rome has recognized that values are the main drivers behind societal instruments like economy, education and governance, and that present values are guiding the course of society in the wrong direction. Following the United Nations Conference on Sustainable Development (UNCSD), or Rio+20, in Rio de Janeiro in June 2012, and with the expiration of the Millennium Development Goals in 2015, the international community has launched a vast debate on the priorities and directions for a Post-2015 Agenda. This debate bridges the aim by the development community to reduce poverty, and the concerns of the environmental community to stay within planetary boundaries and achieve sustainability. There is a need to extend the Millennium Development Goals and to create Sustainable Development Goals as agreed at Rio+20 while merging the two processes. In support of this debate, and using the Internet to reach more widely in consulting the public and civil society organizations, many different processes have been set in motion within the UN system and as submissions for consideration by the UN. It is hard to keep up with all the different processes, but the list of reports below as of October 2013 may help those who want to follow the main lines of the debate. At a time when many question the effectiveness of international processes, it is refreshing to discover a major intergovernmental dialogue without a formal structure. The Asia-Europe Meeting (ASEM) is a forum to promote dialogue and cooperation among 49 states, the ASEAN Secretariat and the European Commission on all issues of common interest to Asia and Europe. 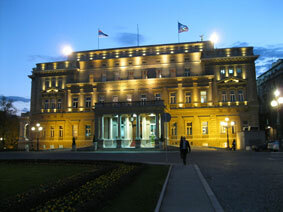 Summit meetings of Heads of State and Government are held every two years, with other meetings at ministerial level, and informal seminars and projects cover fields such as economy, environment, public health, arts and culture, education, human rights and governance, and intercommunal dialogue. 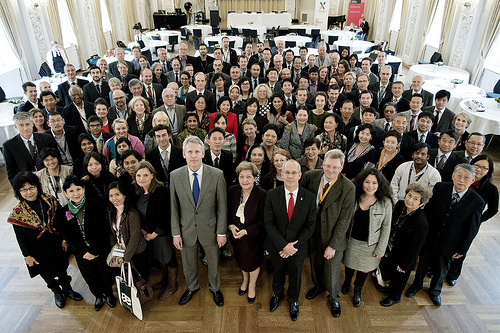 The only formal structure is the Asia-Europe Foundation (http://www.asef.org/) which helps to implement specific projects. The European Center for Peace and Development (ECPD), affiliated with the University for Peace established by the United Nations, celebrated the 30th anniversary of its creation by the UN General Assembly in 1983 at its Ninth ECPD International Conference in the City Hall in Belgrade, Serbia, on 11-12 October 2013. The IEF has been a partner of ECPD for a number of years and IEF President Arthur Dahl sits on its Academic Council. 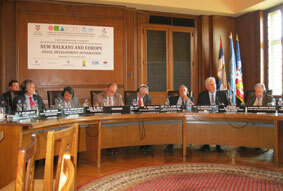 The 190 participants included many diplomats and professors from across the Western Balkans and around the world. "Breaking Down the Silos: Integrating Environmental Sustainability in the Post-2015 Agenda", the final report of the Global Consultation on Environmental Sustainability in the Post-2015 Development Agenda led by UNDP and UNEP, was released on 9 September 2013. 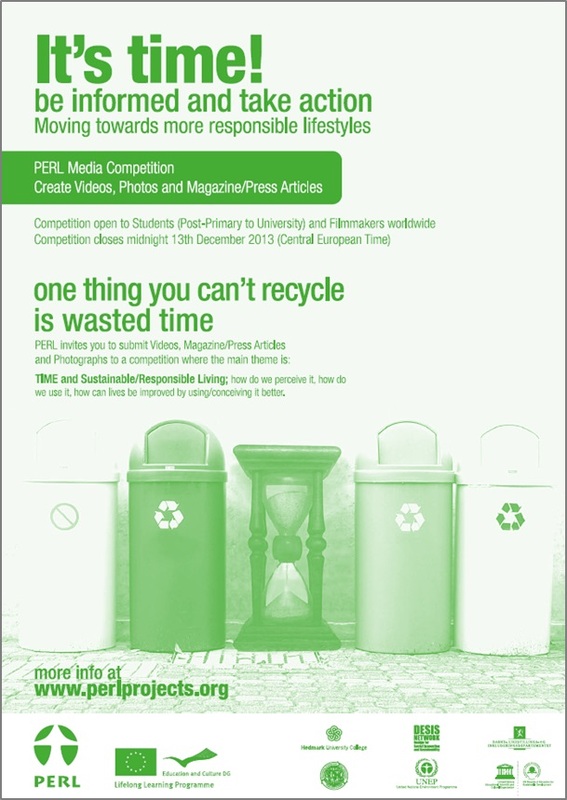 IEF members Onno Vinkhuyzen and Sylvia Karlsson-Vinkhuyzen have had their paper "The role of moral leadership for sustainable production and consumption" accepted for publication by the Journal of Cleaner Production (2013) http://dx.doi.org/10.1016/j.jclepro.2013.06.045. If you are interested, you can write Onno Vinkhuyzen for a copy (onno @ ebbf.org).